One of the most destructive lifestyle factors I have noticed in my years as a practitioner is the overconsumption of sugar that most Americans partake in. Fortunately, we have found many great natural sweeteners that are sweeter than sugar without the inflammatory effects. 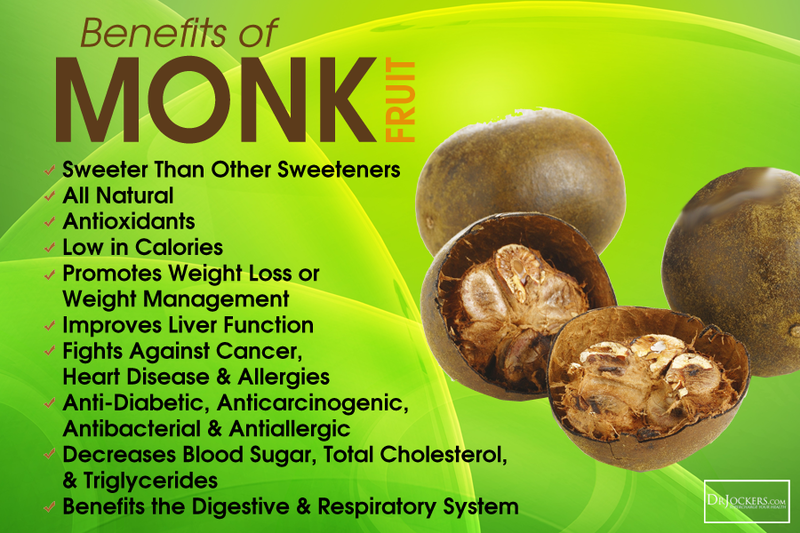 One such sweetener that has great research behind its healing properties is monk fruit. 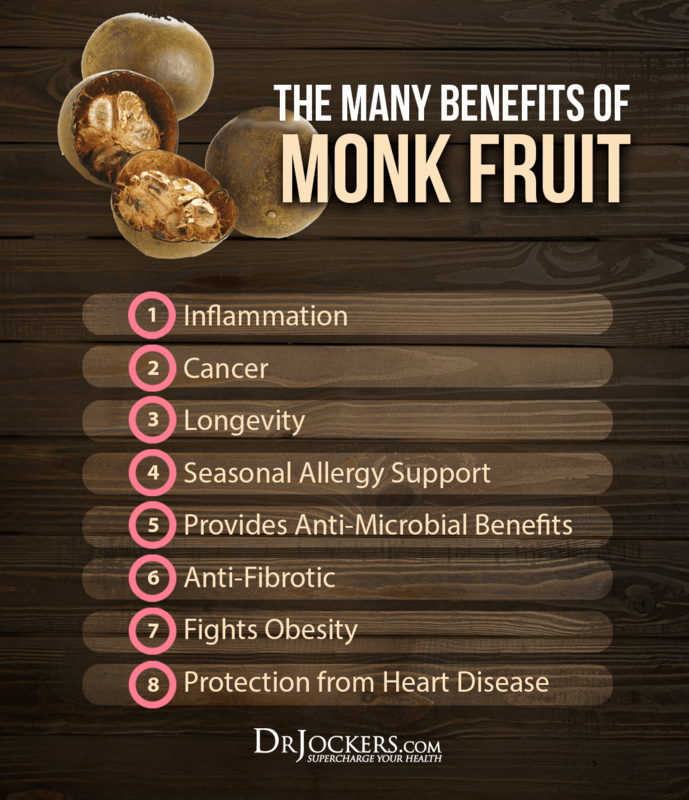 In this article, you will discover 8 benefits of monk fruit and why I recommend using this as one of your go to natural sweeteners. In the past, sugar was a delicacy that was enjoyed on special occasions only, now however if you walk into a grocery store the vast majority of foods are loaded with some form of sugar. This prevalence of sugar in our foods has aided in the rising consumption of sugar per person from about 10lbs per year in the 1800s, to well over 100lbs present day! As more people wake up to the dangers of our sugar consumption they turn to alternatives like aspartame or sucralose which have their own dangers. Removing sugar from the diet will have a reverse impact on all of these things, but for some the idea of no sugar can seem limiting. So what if you could enjoy sweets without the negative health impacts? And what if you could do so using a sweetener that has actually been shown to provide health benefits? Among the dense web of chemical sweeteners, alternative sweeteners, calorie free sweeteners, etc. I have isolated one of my favorites and it is called monk fruit (or Lo Han Guo). I love monk fruit sweeteners, I recommend them to my patients and I use them personally at home, in my ketogenic-friendly desserts, and in my products as well. Monk fruit is a melon-like fruit found indigenously (and almost exclusively) in southeast Asia. Consumed for thousands of years in its native lands, it has made its way over into the US fairly recently as an alternative sweetener. So how might making a switch from sugar to monk fruit benefit your health? As mentioned earlier, there are many benefits of cutting sugar from the diet. Evidence continues to mount that shows the benefits of consuming monk fruit may be compounding when used instead of sugar. One of my favorite benefits of monk fruit is that the very compounds that give it a sweet flavor (called mogrosides) are actually antioxidants that can have several benefits in the body. Mogrosides in monk fruit extract may be able to protect tissues in the body from the damage of free radicals, a major source of inflammation (1). This perfectly contrasts the inflammatory response that is caused by sugar consumption. One study actually found that this antioxidant effect was able to provide protection for the insulin-secreting cells of the pancreas and therefore improve insulin response (2). This would then further provide anti-inflammatory effects through blood sugar regulation. One of the primary causes of cancer is the accumulation of DNA damage by free radicals. By optimizing the antioxidant systems in your body, you drastically lower the amount of DNA damage that occurs and therefore lower your risk of cancer. In addition, this same mechanism helps the body get already existing cancers under control. 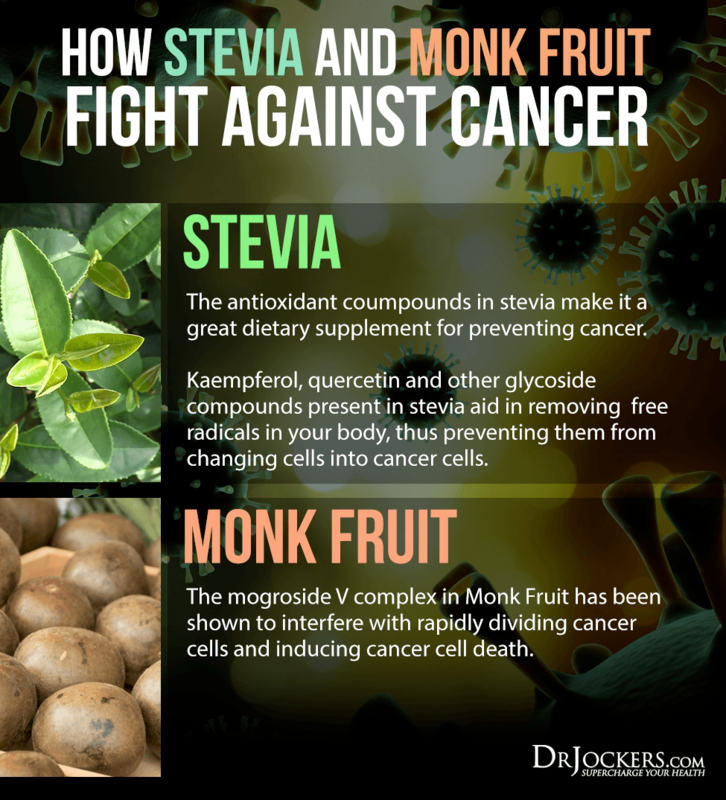 Given that mogrosides in monk fruit have been studied for their antioxidant characteristics, there has been some promising cancer-related research in which mogrosides have demonstrated anti-cancer effects. One study found that mogroside V was able to inhibit the rapid progression of pancreatic cancer cells in mice (3). Another study found it had a similar effect on both colorectal and throat cancers (4). Although I wouldn’t consider it a cancer treatment, its good to know that it most likely will not contribute to any cancerous conditions and along with cutting sugar from the diet, may provide additional anti-cancer benefits. There are many different scientific models for what controls aging in the human body. 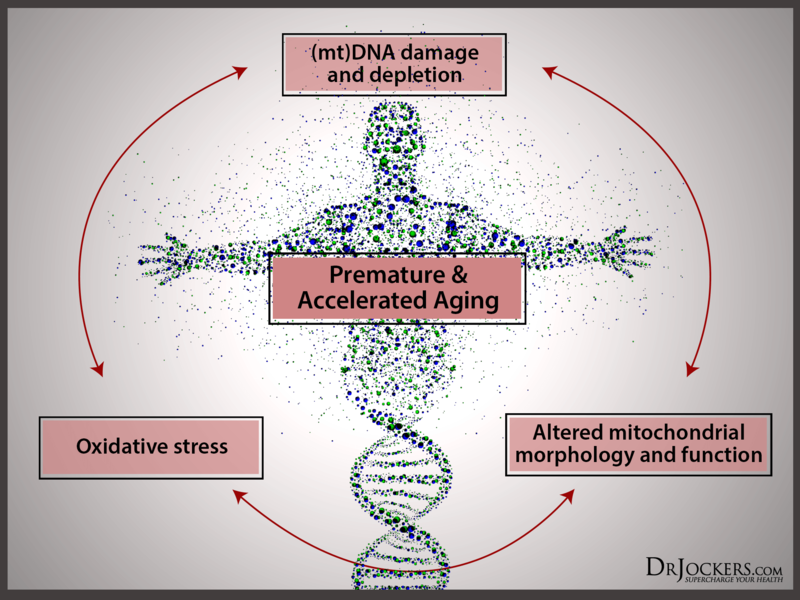 One that is receiving a lot of attention lately is the relationship between mitochondrial health and aging (5). 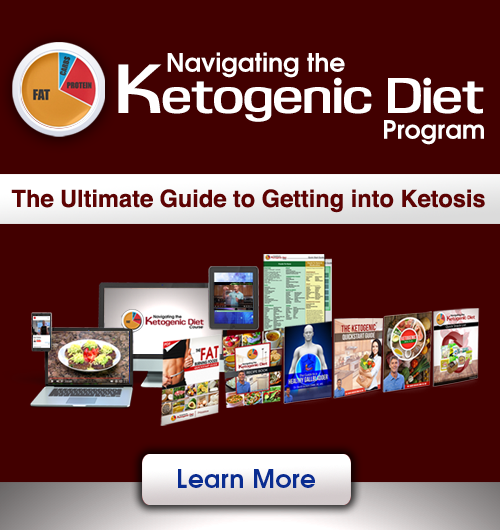 The mitochondria are little structures inside of every cell in our body that are primarily responsible for creating energy and without properly functioning mitochondria, optimal health would be impossible. Antioxidants come into play here because the DNA of mitochondria are very fragile. When mitochondrial DNA becomes mutated, this opens the doors for malfunction (because DNA holds instructions for proper function). Malfunctioning mitochondria can cause problems in every cell in the body, contributing massive stress to our internal environment, increasing inflammation, rapid breakdown of tissues, and eventually degeneration of the human body (AKA rapid aging). By controlling inflammation and upregulating antioxidant systems in the body, we can help keep our mitochondria healthy by protecting their DNA from oxidative stress (6). There are cells within our bodies that are responsible for initiating inflammatory responses when needed. For example, when you get stung by something you will usually notice local swelling around that spot. 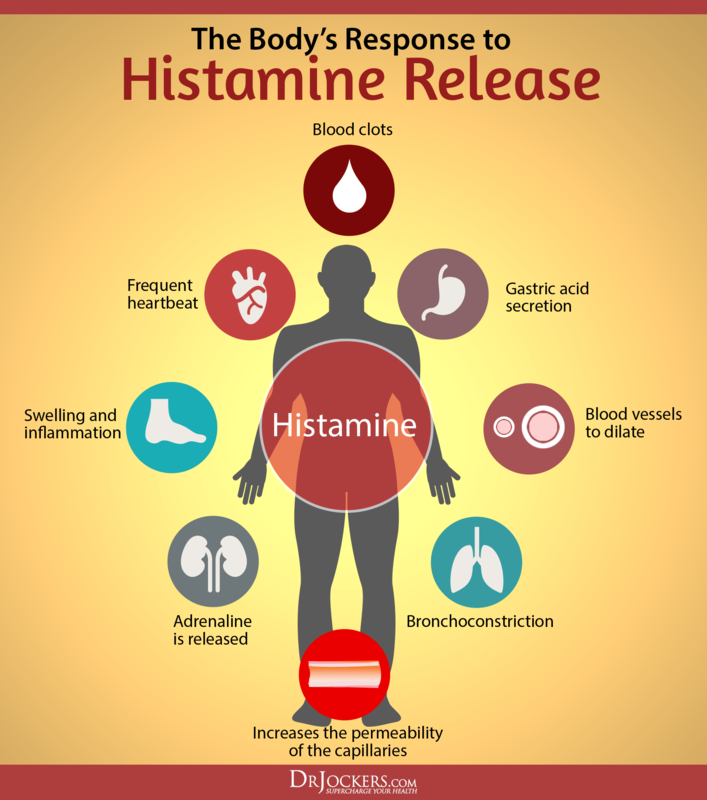 This swelling is called a histamine response that is mediated by cells called mast cells. This is the same mechanism that is responsible for nasal congestion and that puffy feeling you may get in your face during pollen season. In a mouse model, the administration of monk fruit extract over a course of 4 weeks showed significantly lower histamine-response to allergens occurred (7). This same effect was not measured when only a single dose was administered. What this means is that, for this benefit, daily use of monk fruit sweetener may provide some allergy relief. Unlike sugar, which may feed unwanted microbes in the intestinal tract, monk fruit compounds actually exhibit beneficial anti-microbial properties that may help maintain proper bacterial balance. Extracts from the fruit and leaves have been shown to inhibit candida, streptococcus, and bacteria responsible for gum disease in the mouth (8, 9). Switching from sugar to chemical sweeteners like aspartame or sucralose will not have the same benefit as these sweeteners have quite a destructive effect on the health of our gut microbiome and will likely contribute to unwanted microbial growth. A condition called pulmonary fibrosis in which the tissue of the lungs becomes scarred and rigid, interferes with the ability to breath properly and extract oxygen from the air. Some preliminary research has observed mogroside IIIE isolated from monk fruit as a potential anti-fibrotic compound with promising results. The study concluded that mogroside IIIE may act as an anti-fibrotic by controlling inflammation and helping to better regulate cellular matrix deposition (plays a role in the actual scarring of tissue)(10). Although, cutting sugar from your diet is already a huge step towards a healthier metabolism and body composition, some research suggests monk fruit may help take it a step further. A 2016 study observed the influence of the monk fruit component, mogrol, on fat accumulation and found that it inhibited the differentiation of pre-adipocytes (pre-fat cells) into mature adipocytes (fat cells)(11). 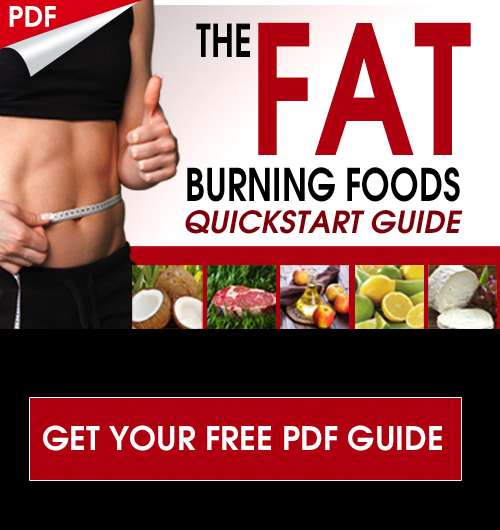 This would reduce the bodies ability to increase overall fat mass. A study that observed the effect of monk fruit extract on diabetic mice not only found that mogrosides had the capacity to improve blood sugar response, but also were able to control side effects related to high cholesterol (12). This effect was thought to be achieved by protecting the cholesterol from oxidation which is a common cause of arterial plaque build-up (13). Additionally, monk fruit extract may go even further for cardiovascular health by promoting an increase in HDL cholesterol. Monk fruit extract is undoubtedly an excellent replacement for sugar as well as other chemical artificial sweeteners. Although much of the research on this amazing extract is somewhat new, I am comfortable saying that there are likely no negative effects of including it in your diet. The fact that it may provide additional health benefits is just an added bonus on top of the proven benefits of cutting sugar from your diet. The whole intact monk fruit is actually pretty difficult to get a hold of but some great high-quality extracts are available. I do recommend a whole-fruit extract as it is likely to maintain more benefits than mogroside extracts or combination sweeteners that mix monk fruit with other artificial sweeteners. The one I personally use and recommend can be found here. 13. The Role of Lipids and Lipoproteins in Atherosclerosis. Does Monk fruit sweetener contain any sugar alcohols? Hey Danielle, some brands market their products as monk fruit when they actually contain mostly dextrose or erythritol. There are some that are pure monk fruit extracts so you will want to look for those! does monk fruit feed candida? No it does not Cathy! Is Monk Fruit OK to consume for people with SIBO? Yes it is. Be sure it is pure monk fruit and does not contain erythritol or any other sugar alcohols. Where can I find pure monk fruit? I have a form of fatty liver disease. I’ve lost all my extra weight but my numbers haven’t gone down to what I’ve hoped. I know sugar causes inflammation, and I’m looking for alternatives. I’ve been using stevia but I think the kind I’ve been buying also has other synthetic sweeteners in the ingredients. My question is does Monk Fruit effect liver enzyme counts? I’m about to start the second half of my journey and eat nothing with added sugar, no breads, and no aspartame-like foods and no dairy except plain greek yogurt. I know most brands that sell stevia don’t sell it in it’s pure form. Does monk fruit help support healthy liver function? I don’t like taking herbal supplements in fear of it damaging my liver.